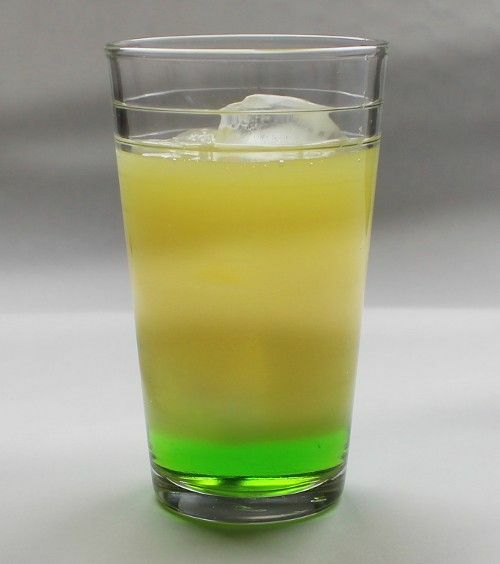 The Sun Of A Beach cocktail has a fun visual effect: the Midori sinks to the bottom whether you pour it first or last, so there’s a green ring around the bottom and orange above. The taste of this one is a tangy, sweet blend of orange and melon. It’s suitable as a breakfast or brunch drink, but it’s also good anytime you’re in the mood for a healthy dose of orange juice. Fill a glass with ice and pour in the ingredients. Serve with a straw for stirring. What does ounce mean?……Half of a glass….or ….how much is it?…. Is it Midori just like mint?